Psionic surges frozen in time. Cocktail hour on the astral plane. Bollywood-inspired dance breaks for the wicked and weary alike. Noah Hawley’s Legion might be the un-superhero show, but there was nothing ordinary about its debut season. The Fargo creator took elements of the horror, thriller, and sci-fi genres, then mixed them up in a psychedelic shaker for one of the most visually arresting and thematically complex shows in recent years. 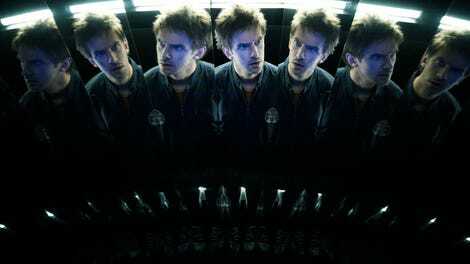 It’s fitting then that the second season, which premieres Tuesday, is the only thing on the air that could make Legion’s first eight episodes look almost restrained by comparison. There’s more of everything, from new characters and alliances to impeccably detailed costumes and surroundings. Jeff Russo’s eclectic score continues to set the mood (and heighten anxiety) with blood-pumping arrangements and the jagged trilling of violins. The inventive storytelling and core ensemble are (mostly) still in place, but Hawley and Nathaniel Halpern have built a whole new reality that is by turns impenetrable and tenuous—as we previously learned, it all depends on the angle. But aside from the backstories and reliability of how unreliable our senses are, season two is kind of a reset, something frequent collaborators Hawley and Halpern are quite familiar with. New episodes probe or attempt to strip away what we think we know about David Haller (Dan Stevens), his allies, and even his enemies. The first season established that not only had David been misdiagnosed as a paranoid schizophrenic, but also that the yellow-eyed demon who tormented him was real. Oh, and David also happens to be the most powerful mutant anyone—including Clark (Hamish Linklater) and Melanie (Jean Smart), who are on opposite ends of the business of mutant studies—had ever seen. This all carries over into the new storylines, but the roles of “hero” and “villain” are more amorphous than ever—even familiar faces can look like masks in a certain light. The season premiere, “Chapter 9,” wastes little time reuniting David with the Summerland group, which has taken up residence at Division III. But after a year away, David’s got some explaining to do, mostly to Syd (Rachel Keller), who came up with some interesting ways to pass the time. It’s clear that though he’s back with his friends and lover, David’s not entirely home again—yet. Ptonomy (Jeremie Harris) is skeptical of David’s claims that he remembers nothing about his abduction, and Melanie is too numb from losing Oliver (Jemaine Clement) yet again to be much of a mentor. The good guys, if that’s who the Summerland folks still are now that they’ve teamed up with Division III—the self-described “tip of the spear” in the conflict between mutants and humans—are fractured, to say the least. Even the mutant “fusion” of Kerry (Amber Midthunder) and Cary (Bill Irwin) spends an increasing amount of time apart. Their timing couldn’t be worse, though, as a new world-ending threat begins to take a form that is (probably) not the Shadow King a.k.a Amahl Farouk (Navid Negahban, taking over for Said Taghmaoui). Farouk’s got his pick of bodies and faces, but as the four episodes screened for critics demonstrate, he’s not really at home in any of them (sound familiar?). He and his companions, Oliver and Lenny (Aubrey Plaza), are also starting to wear on each other—a promising development that will hopefully give Plaza more time to menace and dazzle. Meanwhile, David questions whom to protect and how, but he does know that there are key Division III members, including Clark, who don’t trust him. During the Television Critics Association 2018 winter press tour, Hawley said the new season would explore what it’s like to be a sane person in an insane world. Thematically, that’s an inversion of much of season one, in which David was repeatedly told he was the aberration, the anomaly—that everything would be fine if he fell in line with the medications, interrogations, and/or confrontations. That theory was quickly disproven, but it factors into the new episodes. The disarray that runs through the first part of season two definitely feeds into this new theme, making both David and the viewer question the suitability of the source of all that previous advice. But Hawley and his team, including directors Ana Lily Amirpour and Room 104’s Sarah Adina Smith, aren’t just sending David—and viewers—back to square one. The new episodes aim to reframe, not simply revisit. 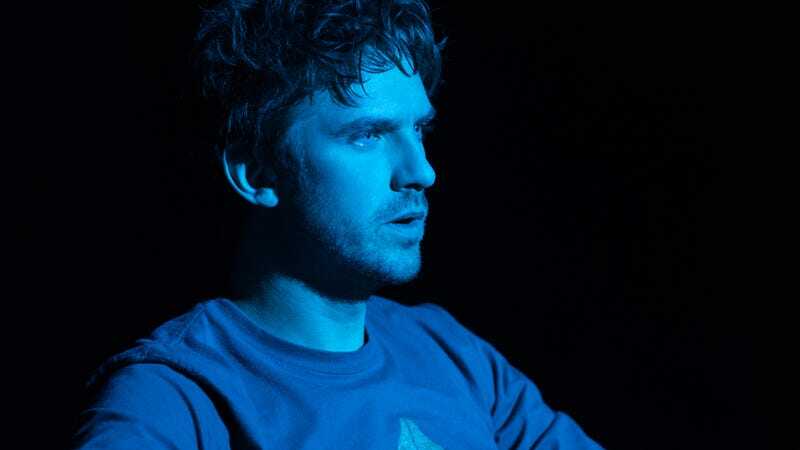 Plot-wise, that looks like a lateral move, but as Legion’s already amply proven, no show two-steps better, and powerful performances from Stevens, Keller, and Plaza keep the momentum going. This is especially important for the new season, given that the main quibble with the first was that the show preferred style over substance—that it had only given the illusion of multi-dimensionality to flat characters. The deepened characterization doesn’t extend to everyone in the first half of season two, regrettably, but what we learn about Syd, Kerry, Lenny, and Farouk strengthens the show’s foundation. But, if you’re here for gorgeously-shot, jaw-dropping TV, Legion still has flair to spare. Once again, Hawley’s let his mind run wild; the show is packed with truly trippy tableaux that are almost impossible to sum up. Unlike the first season, the showrunner hasn’t centered the show’s aesthetic or themes on any one piece of art, but there are clear nods to Greek myths, War Games, and possibly Westworld, if that helps. It won’t, really, and neither will a sampling of notes taken for this review, which include phrases like “possessed Spirographs” and “what would Bing Crosby think?” Thankfully, the show remains as experiential as ever—getting inside the head of an all-powerful mutant might be inadvisable, but on Legion, it actually seems possible. Just as important, the new season gives us ever more compelling reasons to make that trip. What would the cast of Legion do with their characters’ powers?